Owner and Senior Human Resources Consultant of Forum Solutions Inc. Specialization: Theresa’s twenty-five years of work experience spans both employment and consulting in the human resources and employee development fields. During this time, Theresa has gained expertise in all facets of the employee lifecycle. Known for her collaborative relationships and innovative strategies, Theresa’s strengths include exceptional planning skills, facilitation, coaching and mentoring, and organizational and individual performance improvement. She has built a reputation for handling complex people issues with patience and sensitivity, always seeking to understand underlying causes. Throughout her career, Theresa discovered a passion for helping people reach their individual potential, and for helping organizations improve business performance by creating and implementing human resource solutions in a variety of industry settings. These include midstream gas processing, oilfield service and manufacturing, land development, automotive aftermarket, global software, systems integration, management training and development companies, and oil and gas producers. Theresa’s talent for recognizing and developing potential in staff has been utilized successfully throughout her career, as well as her capacity to turn ideas into reality. Being a “big picture” thinker, but with the capacity to work through transactional activities has helped Theresa exceed performance objectives and add significant value to clients. Theresa’s achievements have been enhanced by continuous professional development in change leadership, career transition coaching, adult learning, organizational development, and human resource planning. 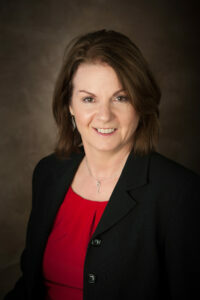 Theresa has accomplished coaching certification from the NeuroLeadership Group and from Newfield Networks. She is a Certified Human Resources Professional with the Human Resources Institute of Alberta, and a member of the Calgary Association of Professional Coaches.